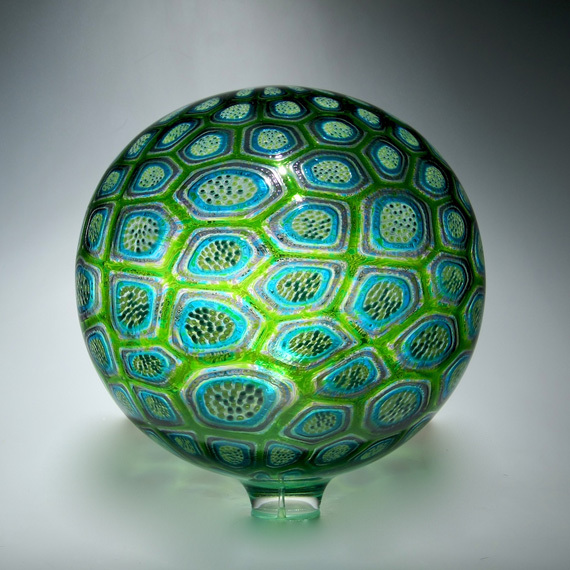 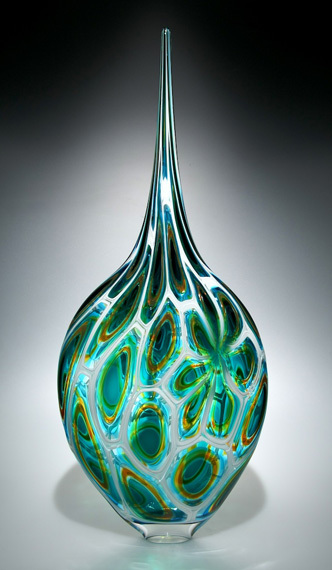 David is a glass artist and designer who uses the Italian techniques of Cane and Murrine in an American style. 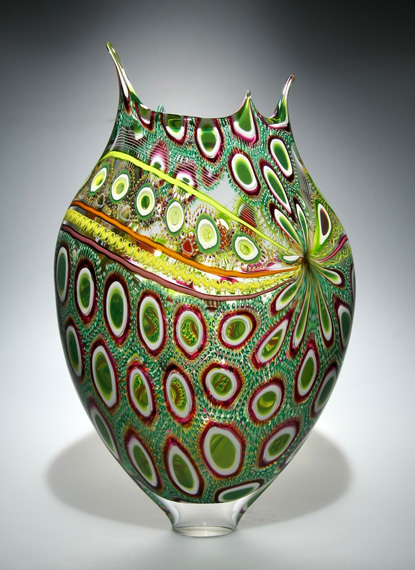 (Cane are colored and patterned glass rods, murrine are patterned cross-sections of glass ’tiles’.) 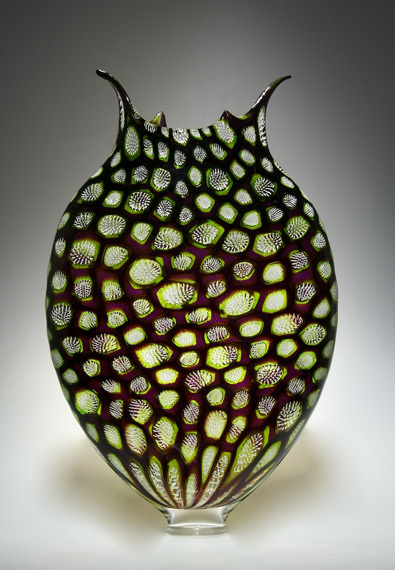 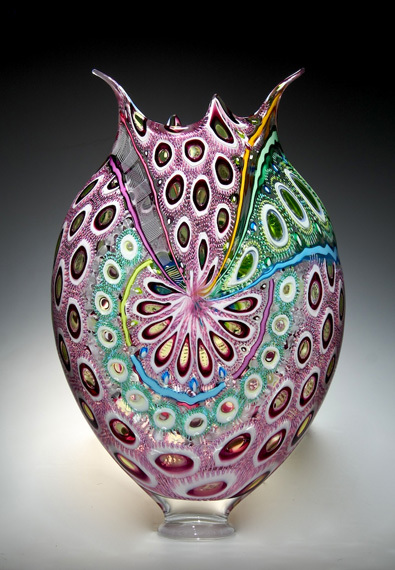 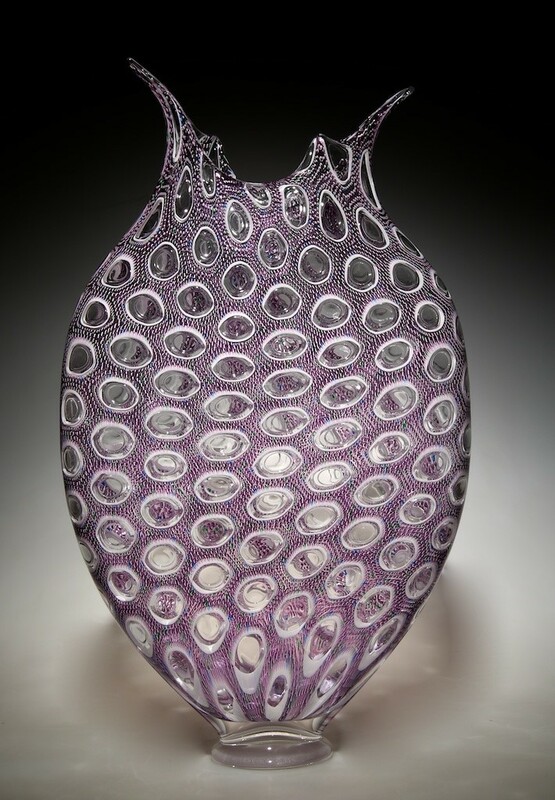 Patchen’s work is known primarily for a combination of complexity and scale in densely patterned glass. 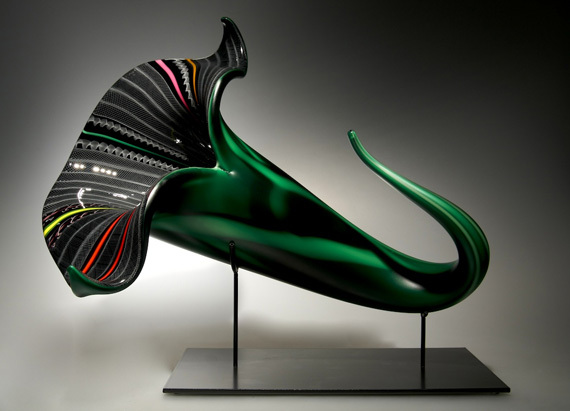 His work is in various private and public collections internationally, featured in many publications and juried shows such as SOFA (Sculpture, Objects and Functional Art), Chicago. 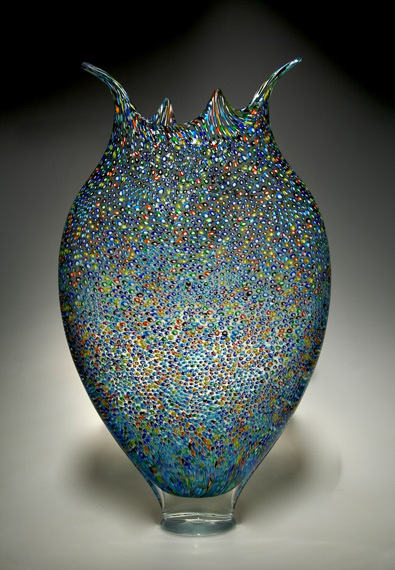 His work is shown in galleries in the U.S., Canada and Europe. 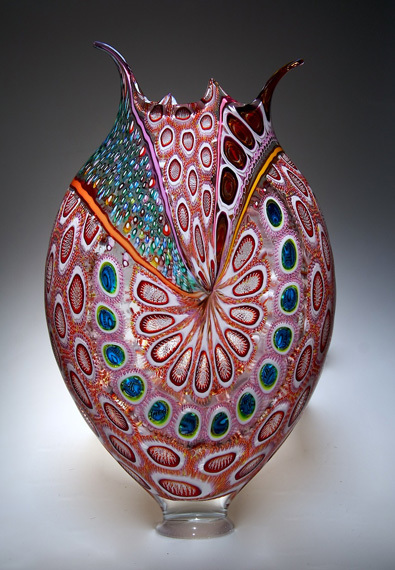 Patchen was awarded an artist residency in 2010 in Seto City, Japan where his visit was covered by the local media and included lectures, demonstrations and a show of his work at the Seto City Art Museum. 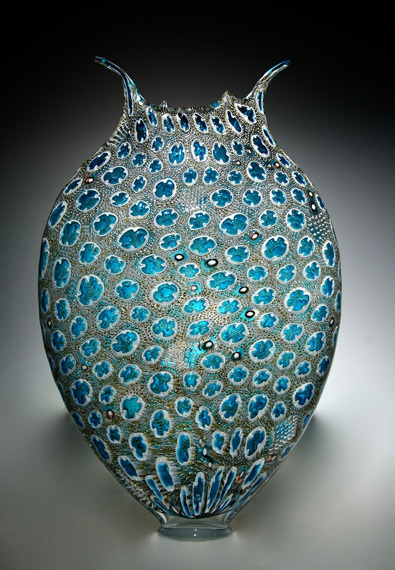 His work has won awards and is in both private and public collections internationally. 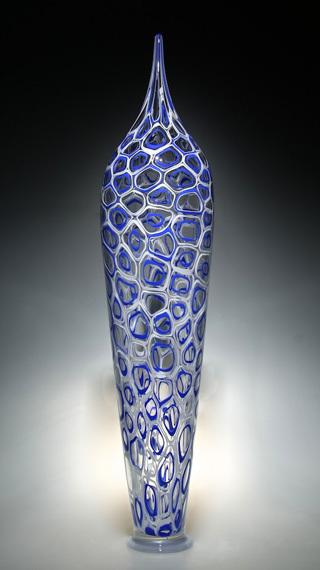 Based on Patchen’s expertise in Italian glass techniques, his book was added to the permanent collection of Giorgio Cini Foundation’s Centro Studi del Vetro library in Venice, Italy. 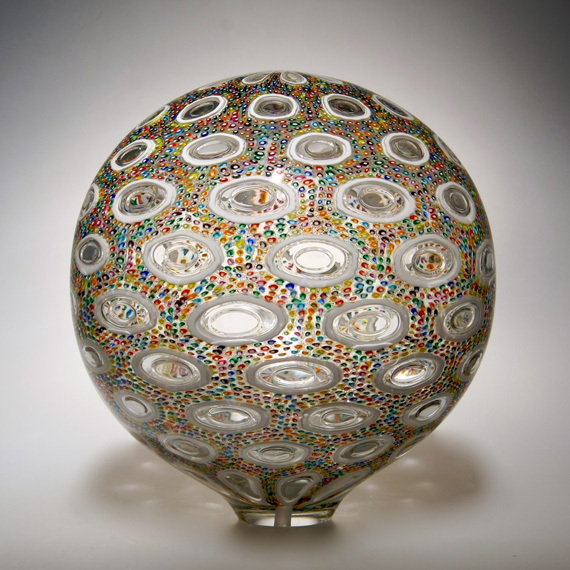 Born in New Rochelle, New York, Patchen resides in San Francisco, California. 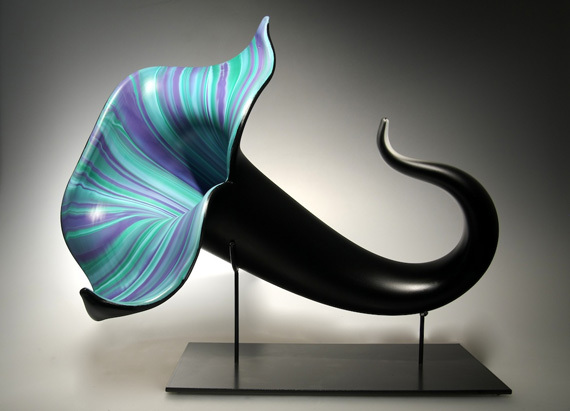 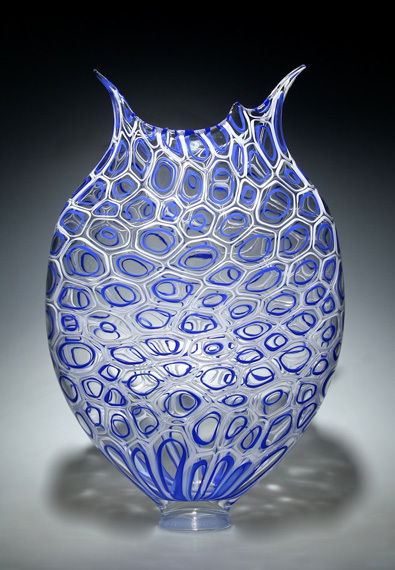 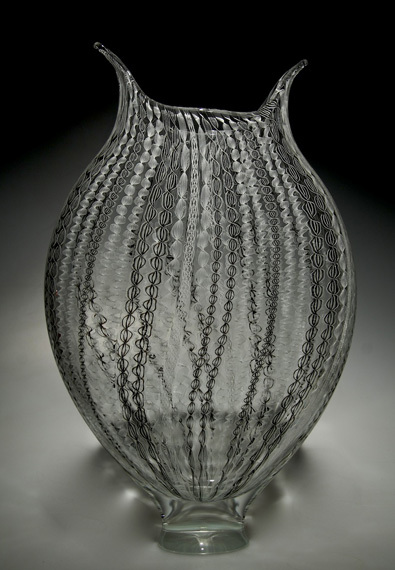 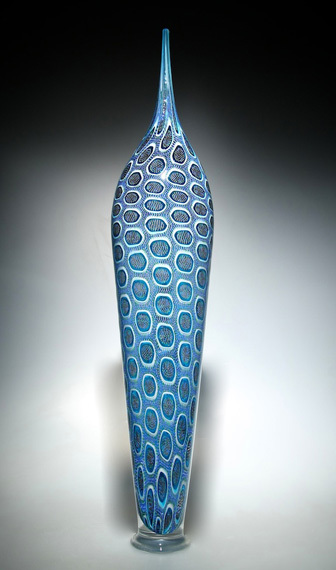 He studied at Public Glass in San Francisco, at the studio of Afro Celotto, maestro and former assistant to Lino Tagliapietra in Murano, Italy, and was awarded an artistic merit scholarship to the Pilchuck Glass School; He has assisted several artists including Afro Celotto and Marvin Lipofsky in creating their work. 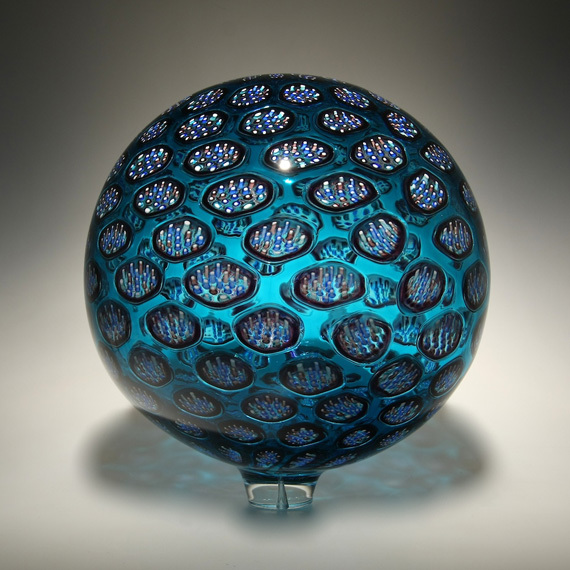 Patchen’s series include forms titled “Resistenza”, “Foglio”, “Parabola”, “Allegro”, “Bloom”, “Piscine”, and “Spheres” which are created in murrine and/or cane. 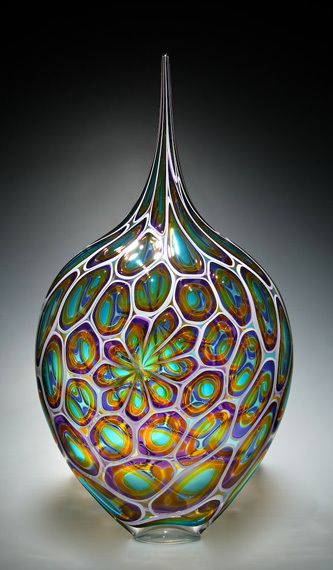 Patchen is involved in the glass arts community in San Francisco as Chairman Emeritus of the Board of Directors at Public Glass and is a former member of the Board of Directors, Glass Alliance of Northern California.